There's something strange that happens when parents meet for the first time at a baby group. "And who's this?" one parent will ask the child of the other parent. "This is Marmaduke," the other parent will answer. "Hi Marmaduke! This is Hyacinth!" the first parent will cry, shaking little Hyacinth's hand in Marmaduke's direction. A quick glance at the other parent. "How old is he?" "Seven months! And look at you sitting up so well!" "And so good at standing!" Eventually, the kids will become engrossed in snatching garish, noisy toys from one another's hands and the parents will attempt to make small talk ("Do you come to this group often? Marmaduke! Don't grab Hyacinth's ball! I am so sorry! There's not much which fits around his naps. Share! Marmaduke, share!"). The two families will spend an hour shaking rattly giraffes at each other and still the parents will each go home not knowing the other's name. It will have seemed important to have introduced their child; it will not have occurred to them to introduce themselves. As the babies get bigger, the parenting small talk is changing slightly. 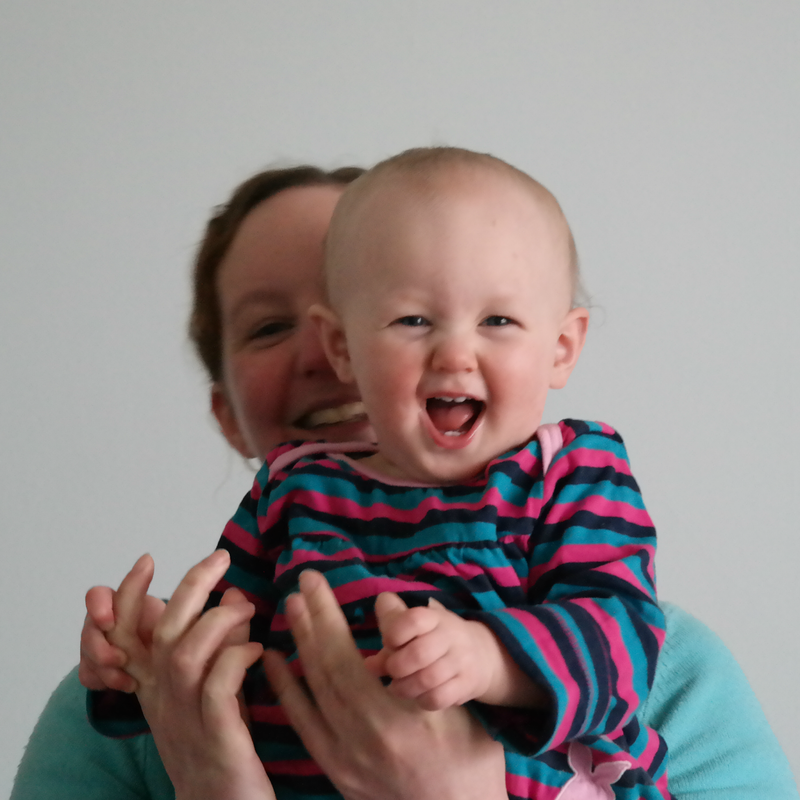 There is less talk of sleep deprivation (because we're too tired to go over it all again) and of weaning woes (there's only so much you can say about broccoli) and more hesitant questions about what happens next. Are we going back to work? Are we staying at home? Are we so defensive about our decision that it would be best to change the topic of conversation now? Are we starting to define ourselves by our career again or are we trying to figure out how to define ourselves at all? A few weeks ago, I reached a moment I had been dreading: I had to list my occupation on a form. It was for a remedial massage, of all things - I didn't see the relevance. Perhaps they pummel politicians harder? Still, I didn't know what to write. I'm not a "homemaker" or a "housewife" ("housegirlfriend"? "housepartner"?). I'm pretty sure one of those is listed in the Argos catalogue; I'm not sure either has been used this century. I don't want to call myself a "stay at home mum" on an official form. And I don't know why not, exactly. It's something to do with wanting to be taken seriously; if I'm not making an effort to earn my employer lots and lots of money and, instead, spend all day singing the colours of the rainbow, am I less impressive a person? A part of me must think so (the part which has never tried to change a mobile baby's nappy). I'm not "unemployed" although I am unemployed. It's by good circumstance rather than bad circumstance; I'm not seeking work so it's not the same thing. I ended up scrawling "parent" in what I hoped was my least legible handwriting as though - what? - they might squint at it and think I'd written "brain surgeon"? Still, as much as I'm uncomfortable defining myself as "stay at home mum", I was just as uncomfortable defining myself by my job. My CV is a meandering thing; my career in PR was a (largely happy) accident; I was never entirely at ease with it being all that somebody knew about me - LinkedIn doesn't say much about who I am as a person; it doesn't say that I love films or books or quick wits or kittens. Despite having always strongly believed that both parents' occupations should be listed on birth certificates, when it came to registering my child's birth, I realised that I didn't want either of our occupations listed at all. We are forever recorded as having worked in those particular careers for those particular types of companies. Future generations, researching the family tree, will try to make guesses about our personalities based on the fact that I did PR and Steve did IT, both for companies loosely connected to the oil industry. I might yet become a stand up comedian. Or a novelist. Or... well... anything, really, which I might prefer to be remembered for. I would prefer to be remembered as a "parent". But as a "feminist parent". Is that something I can write on official forms? And, if not that, what else?